The VW Brisbane Chariot WITH MOPED!! There is something special about our motor home. We still use it quite a lot and know that it can provide awesome family holidays. There is plenty of room for living, spacious kitchen and dining area and also a number of good spots to put your feet up and read a book. An extra 55lt fridge/freezer positioned between the two front seats. Additional usb and 12volt connections throughout the motor home. Moped ramp and 50cc moped (drive on car license. Van is fully equipped with all kitchen and camping requirements including a 10 lt Air fryer. The van roll out awnining has full privacy screens, giving you protection from the sun, wind and rain. 2 -24" inch tv/dvds with bluetooth headphones enabling you to listen and watch comfortabley on both tvs. All bedding is supplied. Including towels. If your bringing your fury friends (pets), bedding is not supplied. Airport pick up and drop off is available at a small fee. Say you want to rent the motorhome and travel upto Cairns but dont want to drive back. I am willing to fly up pick up the van and drive it back home. Obviously there will be a cost to be agreed upon when booking. 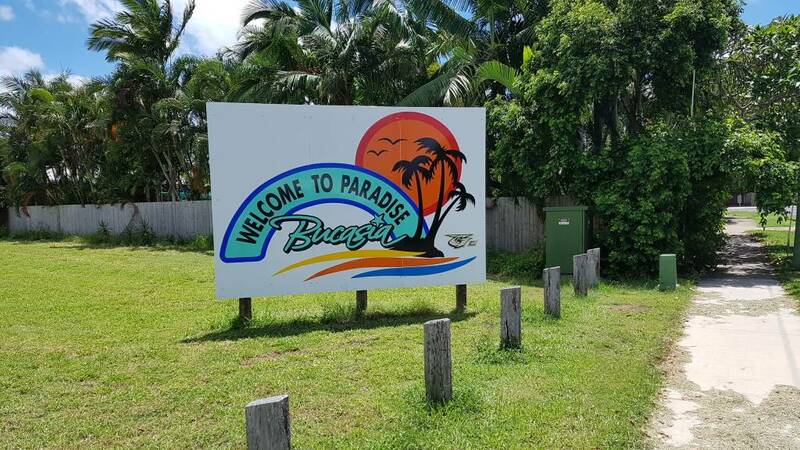 As we live on Beautiful Bribie Island you have the option of staying at one of our beautiful parks. I will set up and pack up the motorhome for free. Because your not driving the van anywhere the rental fee reduces to $100 p/n plus park fees (about $40). I am also willing to do a drop off and set up within 300ks at a cost to be agreed upon. As pet lovers we are willing to look after your dog for a small fee. Motorhome is pet friendly. Feel free to message and ask any questions we are fully flexible and will try our hardest to make your next holiday the best ever!!!. Fantastische vakantie gehad. Andy & Shan zijn zeer gastvrije en vriendelijke mensen. Heerlijk grote camper met alles erop en er aan. Een aanrader. We rented the motorhome for 10 days and had a fantastic time. There was plenty of space for the five of us and kids loved the beds and being able to watch TV while we drove. 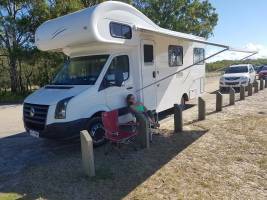 The motorhome was easy to drive, there is plenty of storage space, the kitchen had everything we needed and more and we would definitely recommend the van to all of our friends and family. Had a great holiday. Motor home very clean containing everything, and more that we needed. Very easy to drive. Andy was very helpful and obliging. Would highly recommend. We absolutely loved our time in the Brisbane Chariot! Andy and Shan couldn’t have been more accommodating! Air con, tv’s, sunscreen, you name it Andy and Shan have provided it! The personal service you don’t get with large companies was well worth it, we highly recommend hiring this campervan! Thank you again! 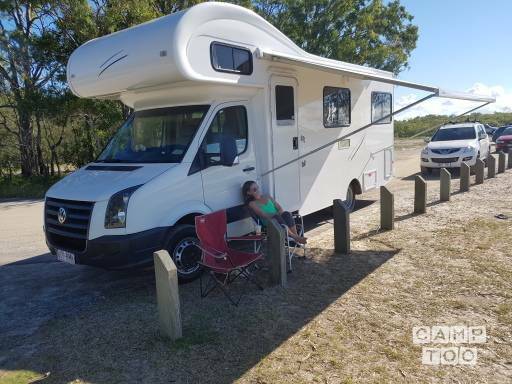 Really nice experience with your RV easy to drive and also with everything we need for holidays we don't need to worry about nothing. Andy really good person easy go, all the best for your future hire. Thanks so much. Andy was great to work with. Very helpfull in number of situations not even related to his motorhome. Great experience and i can recommend to everyone. Je kan de camper ophalen in Bongaree bij Andy & Shan. Je kan je auto hier gratis parkeren.